For those of you that know me personally or follow me, you know I am pretty honest about my health struggles in the past. I’ve changed a LOT of my nutrition practices since college. It certainly wasn’t easy. If you’re a coffee drinker like myself, you want to limit coffee intake to 300 mg or less per day. Now that may be easier said than done, but it’s important. 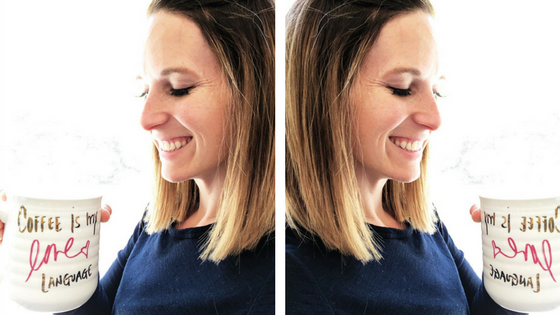 I want to share some tips on how you can make your coffee drinking even healthier. 1. Consider making the investment in buying organic coffee. Did you know that conventionally grown coffee is one of the most heavily chemically treated foods in the world? Wow. If you’re drinking it everyday, it’s worth the cost of organic! 2. Consider using the mushroom coffee elixirs. Achieve and sustain energy levels. Helps support a steady glycemic balance, improved digestive system, and enhanced metabolism. 3. Cut out the sugar and artificial sugars. You will likely need to start this transition gradually. The spike sugar causes in your blood sugar levels will cause an energy crash a few hours later. In the meantime, try a small amount of liquid stevia. Then you can begin weaning yourself down until you are drinking black coffee. 4. Drink coffee sans milks, creams, etc. If you want to make your coffee creamy, try using a milk frother with 1 tablespoon of full fat coconut milk, coconut butter, or coconut oil. Conventional dairy is highly inflammatory for some people; which means it could be causing you some effects like fatigue, bloating, digestive discomfort and so on. Try removing the current dairy you are using for a few weeks. Then, test it again. How does your body respond? 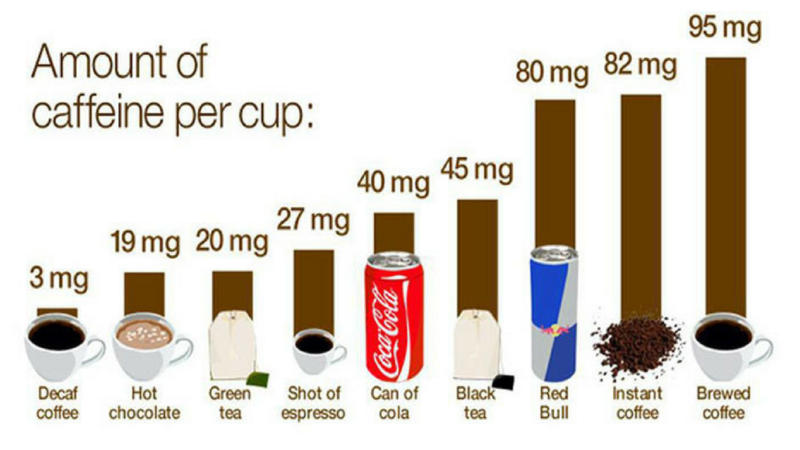 This image is to give you an idea of how much caffeine you are consuming daily. Hopefully you are already under the suggested 300 mg. If not, maybe it will be an eye opener for how much you’re ingesting. 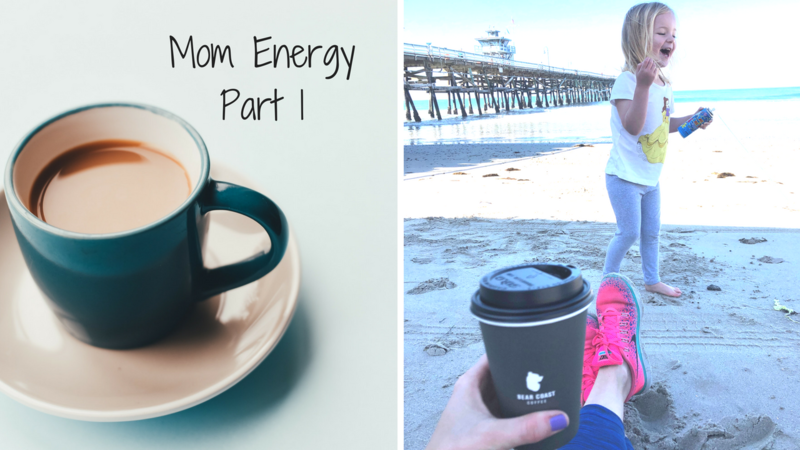 Keep your eyes peeled for part 2 where I will share tips of how to up your energy if you aren't a coffee connoisseur.